Learning how to fish with a drone is not as hard as you can imagine, all you need is a drone, fishing equipment, a friend and you’re good to go. What got me in drone fishing was a video that went viral on the internet, it was about two guys drone fishing for tuna in Australia, yeah you heard that right, Drone fishing! Drones are usually used to capture aerial footage, but the idea of drone fishing for tuna is completely new to me. I sometimes go fishing using the traditional gear but I’ve never thought of using my drone to fish for me! Well, this is a wicked idea to be honest. So instead of renting a boat, paying for fuel and spending time to locate the school of tuna, you can now stay on the beach and your drone will fish for you. But how is this tiny drone supposed to support the tuna’s weight? That’s why this method requires two people, the first person will use the traditional rod with a bait in order to reel the fish back to the beach and the second person will use the drone to locate the tuna’s location and drop the bait. All the reeling will be done using the rod. I have compiled a list of 5 best drones for fishing where I go in detail about each model. 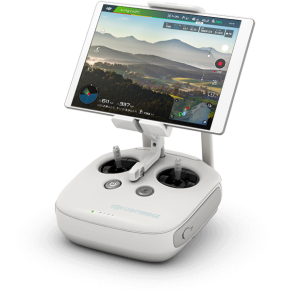 One thing to keep in mind though, the Phantom 3 controller uses a smartphone or tablet (iPad) as a camera monitor. You can use your phone or iPad. DJI is one of the best drones manufacturer and this model is one of the most selling in the market with very good user reviews. It’s really robust, easy to control, provides high quality footage and has a good battery life. Cheap drones won’t do the trick with fishing and I don’t want my drone to end up in the ocean because of strong winds. Picking a high quality drone is essential for fishing. Before taking your drone for fishing, practice flying this thing till you feel comfortable controlling it, it’s easy and you’ll get used to it quickly. 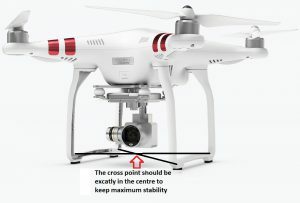 A couple of times will do the trick plus of course the camera helps a lot and provides amazing aerial footage. 2- Now that the fishing lines are in place and knots are tight, I will attach the downrigger release clip to the cross centre point using a very secure knot, I also add some tape for extra security. As I mentioned before the downrigger release clip will be used to transport the fishing rod’s bait to the fishing spot and will release the bait as soon as there’s a tension pull. The DJI can handle around 1.6 pounds of pull weight. The goal here is to get a low tension release clip. 3- With the release clip in place, I will now pass the rod’s fishing line through the small pulley of the release clip. Depending on the release clip, the tension can be adjusted manually. I always test the tension prior to flying my drone to make sure everything goes well during the process. 4- Now that everything is ready, I head out with my friend to the beach. He will then attach the bait. I’m usually the one who flies the drone and he will handle the fishing rod and reeling as he’s more experienced in fishing. 5- If we’re drone fishing for tuna then I will fly the bait to the school of tuna then drop the bait by lowering the drone. The good thing about fishing with a drone is the aerial point of view you get, with a super high quality video, it’s much easier to spot the fish which gives you a quicker and more accurate fishing experience. 6- As soon as the fish catches the bait, the tension from the fish will pop the release clip. My friend will now reel the fish back to the beach and I will fly the drone back as well. 7- What I really like about drones is the ability to record the whole experience. I always take my GoPro camera with me to shoot the preparation part and then I record the whole fishing process with the drone, it’s absolutely fantastic! The DJI phantom 3 video quality is one of the best. Editing the footage later is necessary, I can then share it on YouTube and other social media platforms. I would say yes absolutely, one battery will last around 20-25 minutes and depending on your luck, you may need to fly more than one time to a fishing spot. I usually take 2 extra batteries with me. Make sure you’re allowed to fly a drone in your country. Some countries require a permit to fly drones. Practice flying the drone before going to the sea. Be careful and happy fishing! Drone fishing is an amazing experience and I would advise people who are interested to try it out. It makes fishing so much easier since you can see everything through you camera monitor while on the beach, it also eliminates the costs of renting a boat and paying for fuel. Now many people especially the pro fishermen might disagree with this method of fishing since it changes the whole fishing sports experience. But we’re in the technology era, we can take advantage of this technology to help us whenever we see it possible. Here’s the video I talked about earlier about the two Australian guys drone fishing for tuna. It’s really cool and will show you the process briefly, they make it look really easy! Now that you know how to fish with a drone, go out there and give it a try, it’s a really fun experience. Great article though I’m wondering what use we can have for these small drones over here, including tracking boat movements up the canal. The only danger is if the drone runs out of batteries, mind you the video would be good for youtube. Hi Paul, wow living on a boat must be really awesome! I’m sure drones can be really useful for a lot of things including tracking boats movements, delivering emergency life support, etc. 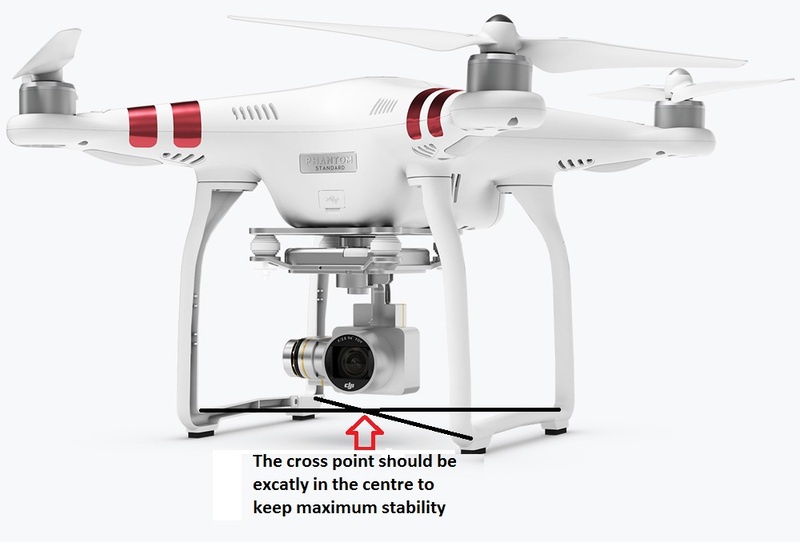 The DJI Phantom 3 has a very cool feature that I mentioned it in my article above, it usually sends a notification to the user when the battery reaches 20% and will return automatically home to avoid it being lost in the sea.